After a really long and disquieting wait, and obviously after one of the most impactful changes in their entire career, Canadian Melodic Death Metal/Metalcore icons The Agonist finally return with a brand new album, the highly anticipated Eye of Providence, their fourth full-length studio album and, more important than that, the first with the stunning Vicky Psarakis on vocals. But were they able to deliver something as remarkable as their previous releases? Well, not only they nailed it, but Vicky also proves why she was the perfect choice to be the new frontwoman of one of the most influential bands in the recent history of Canadian metal. With songs revolving around technology and how it affects modern society, as well as some other intimate topics, the whole album has a pleasant and smooth flow that allows the listener to thoroughly sense an interesting interconnection between all songs and, even more important than that, focusing less on melodic metal music and more on raw contemporary Heavy Metal and Rock N’ Roll than their previous albums. In addition, maybe due to the release of the album being delayed for a few months (it was originally scheduled to be released mid-2014), the band added a few extra songs to it, resulting in expressive 13 songs and over 58 minutes of music, around ten seconds longer than Prisoners, from 2012. If you’re a longtime fan of this Montreal-based band and keep updated with everything they do you already know the opening track, Gates of Horn and Ivory, and you also know how awesome Vicky sounds. Besides, this song has extremely catchy lyrics that will stick deep in your mind for a long time (“With fire at my back / I will tame the waters / I will learn to swim / Fear is not my master”). Would that be a message from Vicky to the world, telling how she’s dauntlessly braving the rough waters of The Agonist? In My Witness, Your Victim, which by the way has a really entertaining and kind of disturbing official video, Vicky’s clean vocals are very solid and match perfectly with the music while her growls give it a fair dose of violence, with the final result sounding robust and gripping. How did they manage to blend Swedish Melodic Death Metal with North American Metalcore so beautifully like in the awesome Danse Macabre? Danny Marino and Pascal “Paco” Jobin deliver some thrilling guitar lines while Simon McKay keeps his beats totally in sync with them, and of course, Vicky’s vocals full of passion and feeling are outstanding in this song. I Endeavor reminds me a little of their classic song “Business Suits and Combat Boots”, especially its drumming and vocal lines, with highlights to the soulful guitar solo at the end of it; while Faceless Messenger is maybe one of their most “European” songs in terms of melody, and I would love to see them playing this song live. Vicky does such an amazing job during this track, ranging from light and smooth vocals to the harsh screams of an evil entity, it doesn’t even sound it’s the same person singing. Although Perpetual Notion has a promising start, where an acoustic intro suddenly turns into melancholic and violent metal, the rest of it is nothing special, lacking more creativity and depth; while A Necessary Evil is an incredible display of “old school” The Agonist (well, not that old) with a very intense and solid sounding. The whole band is on fire during the entire song, with Simon and Vicky being the sergeants leading the squad. Then we have Architects Hallucinate, which sounds like filler compared to the others despite not being a bad song, and the mighty Disconnect Me, one of the fastest and heaviest of all tracks. It’s Metalcore at its finest, boosted by its futuristic lyrics (“Initiate the procedure to transform my body / Into a greater form to serve your gain / Access the brain to eliminate / The source that constrains us to be humane”) and some great riffs provided by Danny and Paco, while Vicky delivers the goods once again with a brilliant vocal performance. 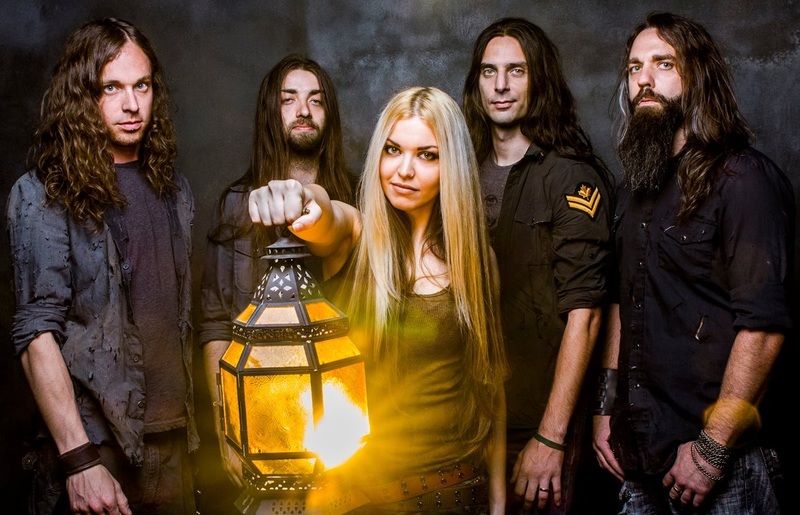 But The Agonist are not finished yet, as there’s a lot more to come in Eye of Providence: in The Perfect Embodiment we can see how wide Vicky’s vocal range is, convincing me (and probably all listeners) she can sing pretty much anything she wants to. In addition, it’s interesting to notice how the guitar lines seem to mimic Vicky’s vocals and vice-versa so connected they are. If A Gentle Disease gives us all a chance to see the band in an acoustic version, with Vicky using all the finesse in her clean vocals to help it become a true love ballad, the fiery Follow the Crossed Line, a song full of melody, rhythmic breaks and effective guitar solos, showcases some Black Metal-ish growls by Vicky, adding even more obscurity to it. And lastly, we can savour almost eight minutes of pure professionalism and emotion in As Above, So Below, with highlights to the passionate performance by Vicky who relies almost 100% on her clean vocals to give more life to the song. 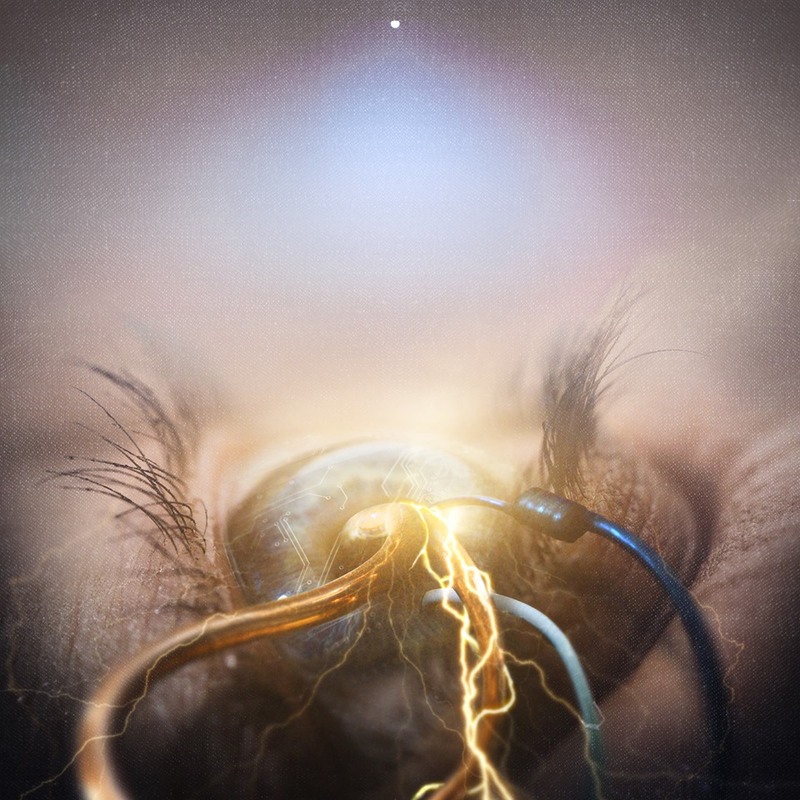 I believe you’ll agree with me when I say the album art expresses everything the music in Eye of Providence is: futuristic, aggressive, organic and distressing, which is exactly what we all want to hear from a band so captivating as The Agonist. In regards to the length of the album, I’m more than happy with the fact there’s a lot of The Agonist in all shapes and sizes for us to absorb and enjoy in the following months and years in Eye of Providence until they release a new album again. And at long last, Danny might still be the one to lead the band’s musicality with his passionate guitar lines, but as already mentioned we must admit Vicky is the breath of fresh air the band needed so much. If I was asked to summarize her overall performance in just a couple of words, I would adapt the famous phrase used by Roman general Julius Caesar to inform the Senate of his victory in his war against Pharnaces II of Pontus at the Battle of Zela around 46 BC: “Veni, Vidi, Vicky”. Best moments of the album: Gates of Horn and Ivory, Danse Macabre, A Necessary Evil and Disconnect Me. Worst moments of the album: Perpetual Notion and Architects Hallucinate. This entry was posted in 2015 New Releases and tagged a gentle disease, a necessary evil, canada, century media records, chris kells, danny marino, danse macabre, disconnect me, eye of providence, gates of horn and ivory, heavy metal, melodic death metal, metalcore, montreal, my witness your victim, pascal "paco" jobin, québec, rock n' roll, simon mckay, the agonist, vicky psarakis by Gustavo Scuderi. Bookmark the permalink.